The patient is a fifty-two year old married female whose psychological problems took the form of depressive and anxious symptomology with an accompanying hyperkinetic element consisting of excessive energy that would not allow her sit still and experience moodiness and difficulty in positively focusing her energies. This was reflected in her overconcern in a self-employment situation she had recently started with her husband. 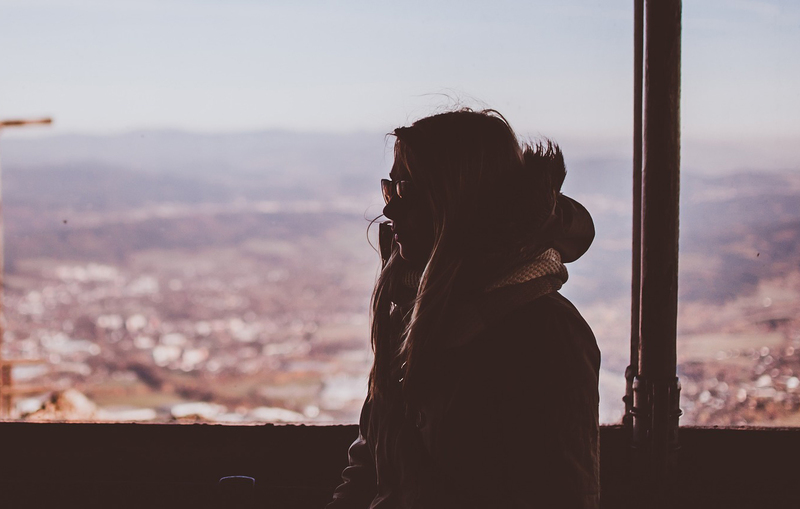 She reported making the transition from an employee was extremely difficult for her due to changes in employment related responsibilities and loss of the “employee” structure. She reports a somewhat troubled childhood especially with difficulties in her relationship with her mother. She could not mobilize and focus her energy for more than three hours at a time during the day, was always tired, never standing when she could sit, and never walking when she could ride. In any case, she needed to nap every three hours for ten to twenty minutes in order to make it through a school day. This she did by putting three chairs together in the library stacks and seeping on them. Yet she had good learning and memory skills during the few calm moments of her day. She also studied better at night after the family was in bed. Various treatments were tried with this patient, including visits to other physicians, chiropractors, educational kinesiologists, and holistic therapists. She was given enzymes, thyroid tests, massage for “tight intestines”, brain entrainment audio tapes, vitamin B shots, and work with an “alpha pacer”. The vitamin B helped her energy level when it sagged, the entrainment tapes and “alpha pacer” helped temporarily. Light and sound stimulators were not effective. The patient was introduced to cranial electrotherapy stimulation (CES) which made significant improvements early on. She used it 45 minutes per day at first, then began wearing it also during college examinations. Presently she wears the device twice a day for an hour and a half. she goes, and most significantly she is able to concentrate and learn with greater ease. She now gets up in the morning without encouragement, functions well in early morning classes, no longer needs to frequently nap during the day, and is competing her studies with less effort and worry. Her digestive system is functioning normally even as she continues to eat junk food. She observed early on with the CES and that when the device was in use “it numbed my anger” so on one occasion when she desired to feel anger, act it out, and cry as in the past she refused to wear the CES device until she had finished “having my fit”. This entry was posted in Inflammation on September 30, 2017 by cesadmin. The patient is a nine year old female who is in the third grade and diagnosed as learning disabled. She reportedly experienced developmental delays physically and mentally. At age six her physical symptoms revolved around a lack of coordination. She could not find her mouth with her hand when eating , had a noticeable lack of balance, could not complete cross crawling exercises, and complained she could not do cartwheels like other children her age. Also, she constantly bumped and knocked things as well as missing her glass at the table when reaching for it. She constantly moved with restlessness (excessive body movement) when answering questions appearing unable to sit still when attempting to think which severely affected her ability to learn. She was unable to learn phonics or spelling and had virtually no reading comprehension. There was difficulty even copying the letters of the alphabet with her pencil both inability to form shapes or remain on the writing line. She appeared psychologically unmotivated and easily giving up on challenges with an “Oh well” final attitude. She appeared unconcerned with her lack of basic academic skills as if she did not want to make waves, and when criticized she seemed to give in just to keep peace. She worked with an educational therapist for two years with little progress until CES intervention was employed as part of the process. CES usage began with daily forty-five minute periods when going to bed with noticeable changes after changes after the third week of intervention. She has continued to use the device for almost a year. From her mother’s perspective the most notable change is her ability to now perform cartwheels while from her teacher’s perspective the more prominent changes are her much improved ability to sit still while thinking and verbalizing, with handwriting described as 100% better although further room for improvement is also reported. A sixth grade reading level is reported and by self report she perceives herself as more intelligent. She is also reported to now express opinions and emotions including an anger which has been an adjustment for her family. Teachers report increased motivation and perseverance even with difficult tasks, increased reading ability, and significantly decreased excessive body movement. Although she has continued difficulties with copying from book to paper (i.e. math problems) and using her fingers for addition and subtraction, she has memorized grade level time tables and has ease of with retrieval with this information. This entry was posted in Inflammation on September 28, 2017 by cesadmin. Note: The CES Ultra does not make claims as to alleviation of pain. However this article shows how inflammation and symptoms of arthritis maybe reduce by vagus nerve stimulation. The CES Ultra targets the vagus nerve. Healthy vagal tone is indicated by a slight increase of heart rate when you inhale, and a decrease of heart rate when you exhale. Deep diaphragmatic breathing—with a long, slow exhale—is key to stimulating the vagus nerve and slowing heart rate and blood pressure, especially in times of performance anxiety. This entry was posted in Inflammation on September 16, 2017 by cesadmin. 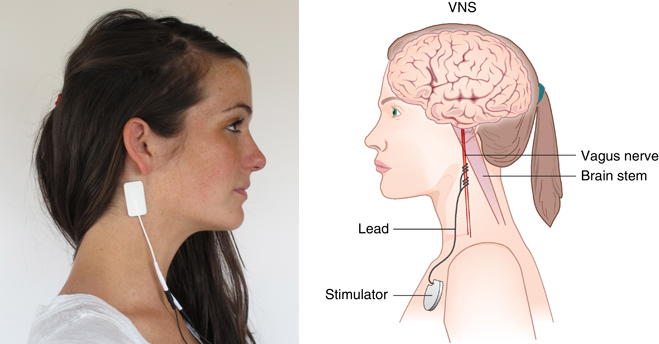 Check out the benefits of vagus nerve stimulation. They describe costly and intrusive procedure involving an implant. CES, specifically Ces Ultra, can achieve the same result at fraction of the cost and in noninvasive manner. Recently, an international team of researchers from Amsterdam and the United States conducted a clinical trial which demonstrates that stimulating the vagus nerve with a small implanted device significantly reduced inflammation and improved outcomes for patients with rheumatoid arthritis by inhibiting cytokine production. 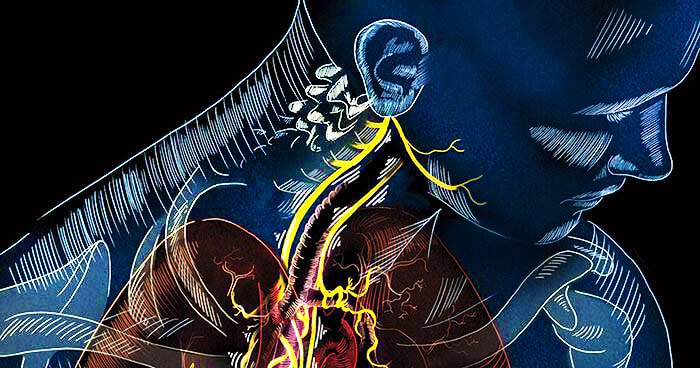 This is the first human study designed to reduce symptoms of rheumatoid arthritis by stimulating the vagus nerve with a small implanted device which triggered a chain reaction that reduced cytokine levels and inflammation. Although this study focused on rheumatoid arthritis, the trial’s results may have implications for patients suffering from other inflammatory diseases, including Parkinson’s, Crohn’s, and Alzheimer’s. This entry was posted in Inflammation on September 14, 2017 by cesadmin. If you are asking the question, “Is there anything ELSE that can help me to sleep naturally, without debilitating side effects?” then you should consider Cranial Electro Therapy Stimulation (CES). The U.S. Food and Drug Administration allows the medical claims of “insomnia, anxiety, and depression” for CES use. Anxiety and depression are two common triggers of insomnia or sleep problems in general. Depression and anxiety will begin to cause sleep problems in people who haven’t previously experienced difficulties with sleep. A vicious cycle will often begin to take place in individuals whereby: the more anxious a person becomes the more they suffer from sleep disorders; the more one suffers from sleep disorder the more anxious one becomes, and on and on. The same is true of those who suffer from depression. 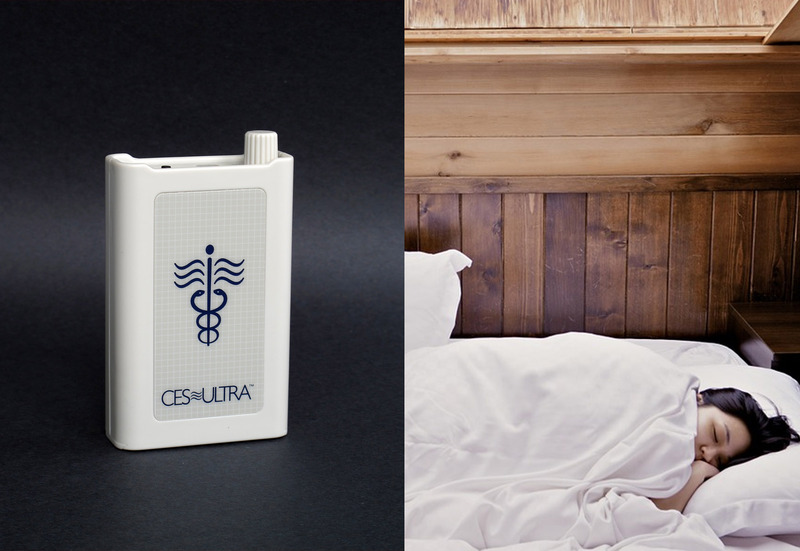 By allowing the brain to “reset” to its normal rhythms, CES creates a new and healthy habit for your sleep patterns. Studies show that within two weeks of daily CES use you will see a substantial decline in your sleep problems. This entry was posted in Inflammation on September 8, 2017 by cesadmin.